Porcelanosa are a leading global manufacturer of ceramic and porcelain wall and floor tiles with an enviable collection of some of the most elaborate designs in the marketplace. Whether you are considering a kitchen redesign or a bathroom refit, The Tile Emporium has a wealth of Porcelanosa tiles to choose from. 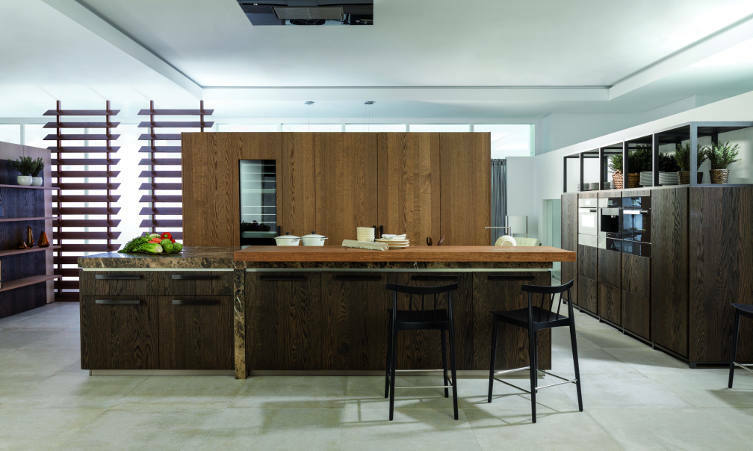 We offer ceramic Porcelanosa floor tiles and wall tiles, Porcelanosa kitchen and bathroom tiles in a range of colours, as well as collections that evoke natural materials such as marble or wood. 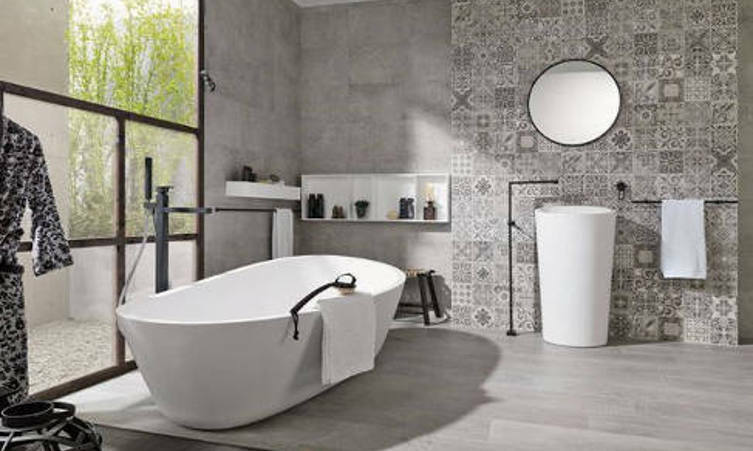 Known all over the world, Porcelanosa is one of the most highly regarded tile brands on the market today. 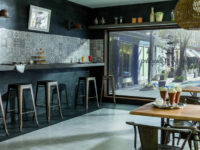 With over 40 years’ experience and a worldwide reputation of providing stunning interior designs and styles, the company is known for its high end designs and exceptional product quality. 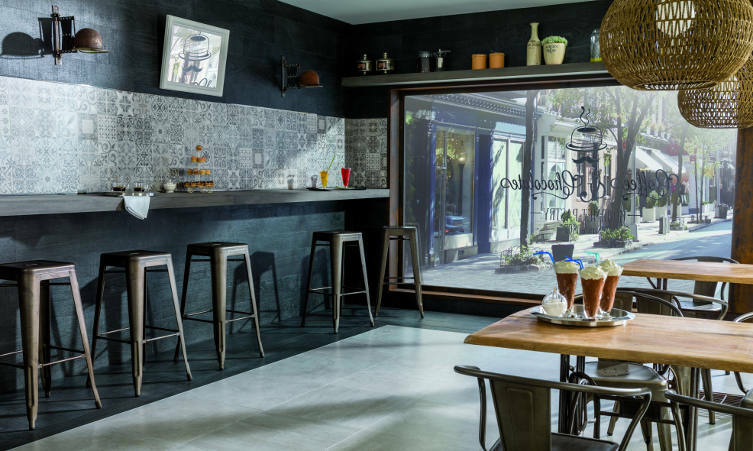 Porcelanosa specialise in single-fired porous stoneware and porcelain wall and floor tiles that come in an array of formats and finishes. Their tiles are highly prized for their innovative design, high tech properties and outstanding quality. 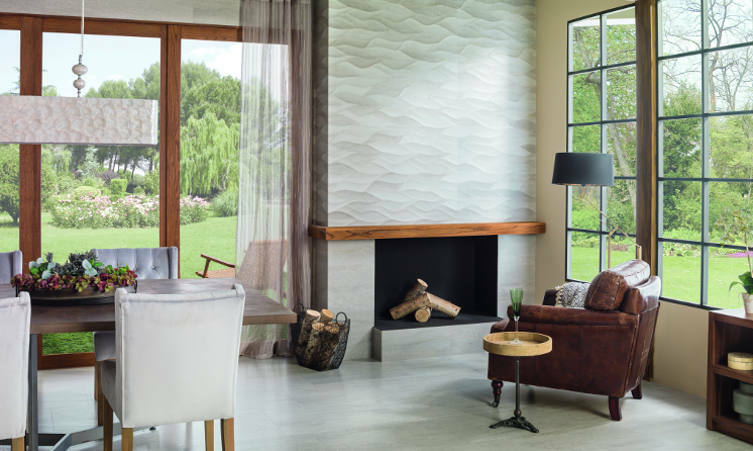 Make a real style statement in your home by installing Porcelanosa wall or floor tiles. Why not browse our collection from this prestigious brand and bring your interiors to life? 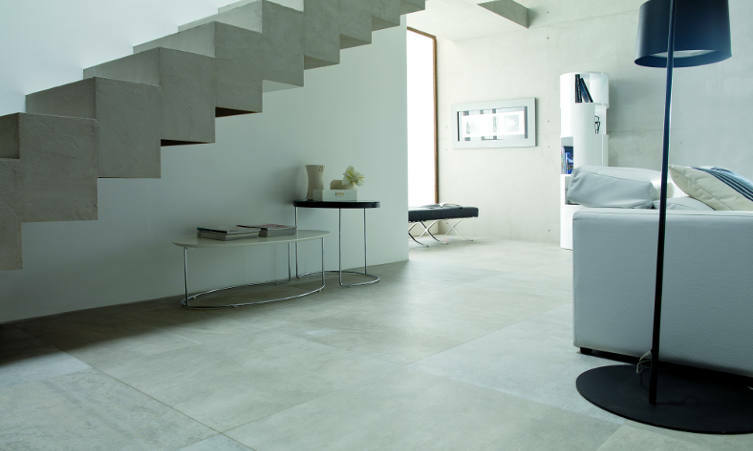 Once your Porcelanosa tiles are installed in your home, it’s important to look after them properly. A suitable regular cleaning and maintenance routine will ensure that your tiled walls and floors look clean and fresh at all times and give your many years of pleasure. 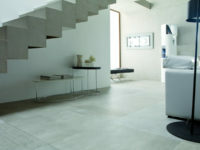 Porcelanosa tiles are easy to care for. A regular wipeover with warm water mixed with a neutral to mildly alkaline (pH 6-8) detergent should suffice in most cases. Leave the mixture to sit on the floor for up to 15 minutes to emulsify the dirt, then rinse it all off. Make sure that your cleaning product is not too acidic/too alkaline as this can cause damage to the surface of the tiles. Avoid degreasing agents that contain wax, sodium silicate or other additives that leave a sticky deposit as they tend to keep the dirt on the surface. Greasy spillages on floor tiles can make the surface slippery and should be removed immediately using a hot water/detergent mix and rinsed with clean water. Use a proprietary wax polish remover to deal with any wax build-up. In wet floor areas (eg. in bathrooms, wetrooms or around indoor pools), soap residues, body fats, oils and algae may accumulate. These should be treated with a more acidic cleaning agent on a regular basis. Avoid using wirewool. Glazed floor or wall tiles should first be cleaned by dry wiping/brushing to remove any loose dirt or grit. Then wash or mop with warm water mixed with a neutral, low sulphate detergent before rinsing thoroughly with clean water. Abrasive powders should not be used as they can scratch the glaze. The Tile Emporium is an independent, family run tile business based in Reigate, Surrey. We take great pride in the quality of our products and services, our outstanding workmanship and exceptional customer service provided to clients across Surrey, Sussex and Kent. 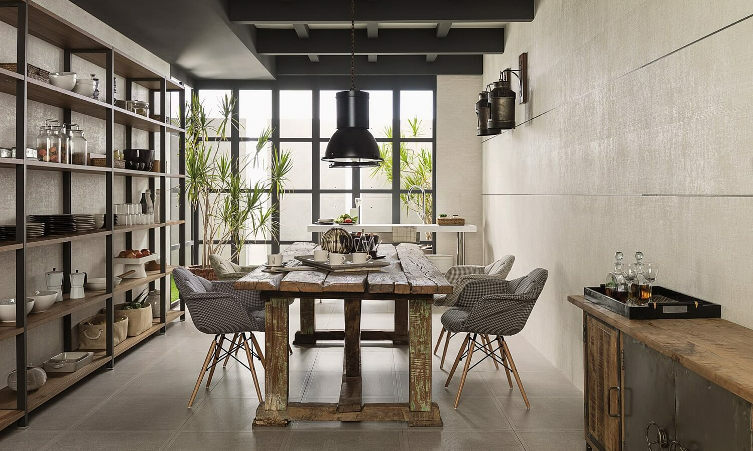 We supply a wide range of quality natural stone and stone tile flooring styles made from different materials including Porcelanosa Ceramic Tiles, Limestone, Slate and Marble. Our supply only service operates across the UK, with delivery directly to your doorstep. 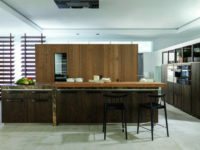 We also provide a professional installation service at a competitive price, using our own team of expert craftsmen. We can check and install your new tiles, and supply Ditra Mat or Hardie Backer timber floor strengthening to prevent tile cracking. We also carry out installation services for electric underfloor heating. We offer a comprehensive service to repair or replace damaged tiles and for natural stone tile renovation. Our deep cleaning service can remove wax build ups, grout or reseal the edges, ensuring that your stone tiles stay beautiful for many years.